Emotional eating is a negative habit that involves consumption of large amounts of food to provide comfort in difficult circumstances. The result is poor health and rapid weight gain. Food provides physical nourishment and enables our bodies to function properly, but it is unhealthy when we indulge in it to soothe pain and suffering. Some foods give you a temporally high feeling but once its effect is worn off, you go back to the same low point. Comfort foods common among men are steaks while women are likely to indulge in ice cream, chocolate and potato chips. If you ever eat when you are not hungry, there is a likelihood that you are subconsciously trying to deal with some kind of emotion. Boredom is an example of this: how often do you get snacks when you spend the afternoon in front of the television? Our brains crave stimulation, and television is actually a pretty poor stimulator because our bodies are not involved in any way. We bring our bodies in to the mix by grabbing some chips or popcorn to snack on, but this packs on the pounds too. Another sign is anxiety and stress. These are notable causes of emotional eating as well. We often give ourselves excuses to cheat on our healthy eating style when we're in a time of duress. Others include: Craving a special type of food according to your mood; Eating more of that type of food even when you are already full; A guilty feeling once you realize what you are doing, which often leads you to stop. Although this habit may provide temporally relief to pain, the problem does not go away until a better solution is sought. Every problem you encounter has a cure. The first step to knowing how to overcome is to identify the circumstances that make you want to seek comfort in food. 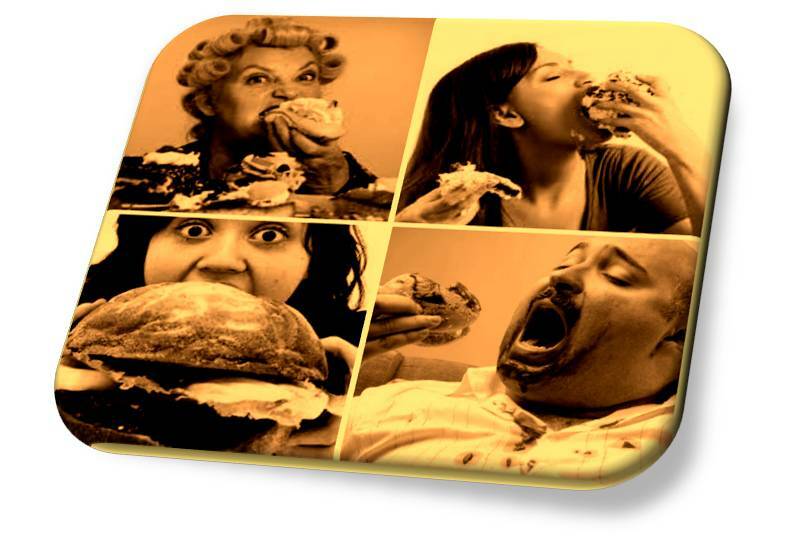 Many people who eat emotionally reach out for junk and fatty foods. Find a healthy alternative to replace these unhealthy foods. With time, this will train your taste buds and you will soon crave healthy foods, whether or not you are facing an emotional difficulty. Another great tool towards lowering your desire to emotionally eat is an all natural weight loss supplement. These supplements often contain natural appetite suppressants that can help control your cravings, let you go between meals without feeling as much of an urge to snack, and help you towards your weight loss goals. This means making a record of what you love eating, when you do it and how much you eat. You can also add your moods and what foods you ingest when in different highs and lows. This is the best way to keep track of your eating habits. Exercise relieves stress and keeps your mind away from the problems plaguing you. It also produces the feel-good hormone that will uplift your spirit. Eating emotionally can be a medical or psychological problem that requires professional help. When you find that you cannot control it and it is starting to affect your health, seek professional advice. Every individual has their own way of coping with difficult issues, but never let any problem take over and control your life.